Going undetected is a key component in being successful when hunting. One of the best ways to do this is with footwear like these Danner Men’s 45013 Mossy Oak Break-Up Infinity Pronghorn Waterproof Insulated Boots. Helping you avoid being discovered is the Mo ... (see full details) (see specifications) #DNN45013. Going undetected is a key component in being successful when hunting. One of the best ways to do this is with footwear like these Danner Men’s 45013 Mossy Oak Break-Up Infinity Pronghorn Waterproof Insulated Boots. Helping you avoid being discovered is the Mossy Oak Break-Up Infinity camo in the uppers of these shoes. Mossy Oak Break-Up Infinity is manufactured with the features of leaves, limbs, acorns, and branches over actual images of the forest to help break up your silhouette to leave you unseen. The uppers of this men's footwear is constructed from durable and waterproof full-grain CamoHide leather with 1000 denier Nylon. The Nylon is lightweight, breathable, and abrasion-resistant. The 8-inch height of the uppers offers support to the ankle when walking through rough or uneven terrain. Rugged hardware will give you a secure fit and long-lasting performance. There are also nylon shanks in the men's footwear, which give added reinforcement to your arches. A high-quality full-grain leather toe and heel caps add abrasion-resistance to these premium boots. Breathable and 100% waterproof GORE-TEX lining ensures that your feet will stay cool and dry. For warmth without the weight, 800 grams of Thinsulate Ultra insulation offer protection in extremely cold climates. Thinsulate provides almost 1 ½ times the warmth for its thickness. The rugged hardware found on these shoes ensures a secure fit and are designed to be long-lasting. 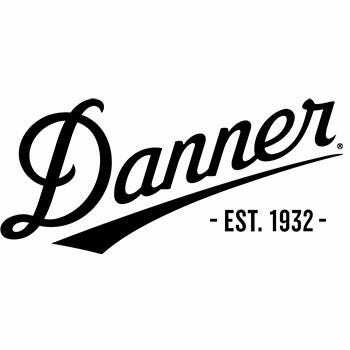 Danner Pronghorn outsoles are crafted with a rubber compound for superior traction over rough and rugged landscape. Sitting in a duck blind or in a deer stand all day can wear on you, but your feet will stay comfortable in this Pronghorn footwear. Open-cell polyurethane Ortholite footbeds offer three layers of cushioning for superior comfort. For arch support, slip-resistant boots are made with nylon shanks. Danner’s Terra Force technology offers support and stability while remaining lightweight. The new last and roomier toe boxes create wider, more stable platforms with a great fit. Also, Terra Force affords the strength of these brown boots with the lightweight feel of athletic shoes. These Danner Men’s 45013 Mossy Oak Pronghorn Waterproof Insulated Camo Boots can help you remain warm and comfortable while going unnoticed. Now, whether you’re a good shot or not is your problem. Very good for working outside all day long on my feet. Plenty of warmth even on the coldest days. Would recommend for anyone in construction or other types of outdoor activities as hunting etc... price was for good and well worth the money these would seems to hold up for many years of use. I have worn these almost every day for three or four months with temperatures in the teens and single digits but not below zero, and with lots of snow and ice. I oiled the leather before I wore them. These are hunting boots, but I do not hunt. I wear them in town. For me, the fit of these boots is excellent. I measure almost exactly 10.5 D, and these fit just right. I picked these largely because, according to the Danner web site, they have more room in the toe box, which I like. I’d say these are about as true to size as you can get. I haven’t stood in a lake or anything like that, but I have walked in snow with them quite a bit, and they are waterproof as far as I can tell. As for warmth, I do work that requires me to stand for several hours with very little movement in freezing temperatures. Stationary work will make you a lot colder than active work, and the longer you are out in the cold, the colder you get. (Think that, when you put something in the refrigerator, it is colder after a period of time than it is at first.) After doing this for a while, my feet do get cold. I have to wear extra warm socks. They undoubtedly are warmer than uninsulated boots, but don’t expect it to be like standing inside a heated building. If I am active, however, they do keep my feet warm. I don’t take the footbeds into account when I rate shoes because I always replace the footbeds that come with the shoes with orthotic inserts. For that reason, I make sure that the shoes have removable footbeds before I buy them, and these do. The laces that come with the boots kept coming untied, so I replaced them with laces that don’t. I have had to do that with some other shoes too. I don’t take the laces into account when rating shoes, because that is a minor item. The soles have worn very well, but they are not good for walking on ice. In that respect, these are like most boots, but, if walking on ice is a major concern for you, there are boots that are designed for that, though I haven’t tried them. As far as I can tell, these are very well constructed and made from top quality materials. I find the fit to be just about perfect, and they are very comfortable. They did take some time to break in, but there is nothing wrong with that. The uppers chafed my ankles a bit at first, but that didn’t last long. On the whole, these are excellent boots and I highly recommend them unless walking on ice is a primary concern. I ordered these Danner waterproof insulated boots for my husband for hunting this year. I always worry about ordering boots online because of the sizing. My husband is a 9.5 D and these boots are a perfect fit, they are true to their size. He says they are very comfortable and they keep his feet warm and dry. We would highly recommend them to any hunter. They are of very good quality. I bought these Danner Hunting boots for my husband to go on an Alaskan bear hunt. He said they are the best boot he has ever gotten! Extremely comfortable! Water proof and warm! Very well made. Would order another pair when these do wear out! Would recommend to any hunter or even to a person that works out in frigid temps! Danner Boots: Men's 45013 Waterproof Insulated Mossy Oak Pronghorn Hunting Boots is being added to your cart.